Project finished. The following photos show each block. 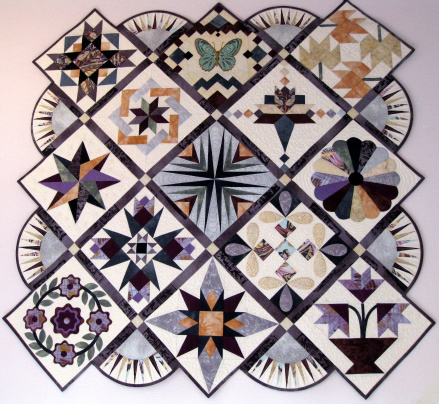 Everything on this quilt is based on the individual blocks and their learning process. My quilting extends this theme.